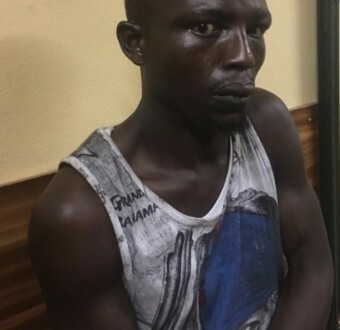 Police arrest unrepentant thief for robbing a lady just 5 days after his release from prison - SWANKYLOADED OFFICIAL BLOG. 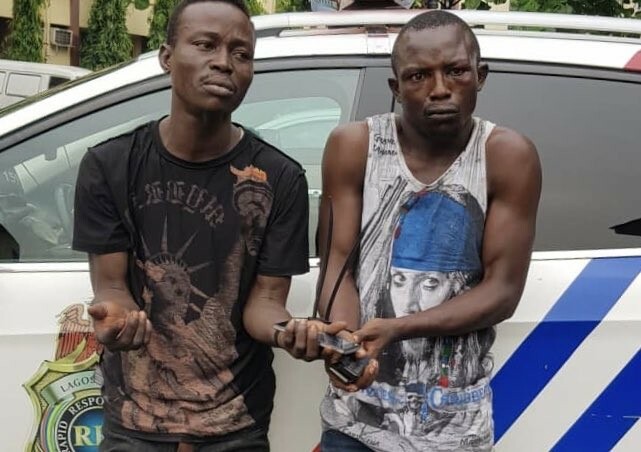 Rapid Response Squad RRS of the Lagos State Police command has arrested an unrepentant thief and his accomplice for robbing a lady of her handbag and phone in Lagos. According to the RRS, the suspect in a sleeveless shirt, Tunde Okunola who was arrested with his accomplice Segun Adigunhad just been released from prison 5 days ago before he was caught again. They reportedly used a motorcycle to rob their victim of her valuables, which the Police recovered together with an axe they use for the operation. The two have been charged.